A tablet-sized display that fits in your pocket, anyone? Rumours of a foldable phone have been kicking around for years, but it wasn’t until last September that Samsung actually revealed a working device onstage. The Korean tech giant didn’t reveal too many juicy details, but it did give March 2019 as a possible launch date. Meanwhile, Huawei has a foldable phone planned for June 2019, and Xiaomi has shown off a phone that folds in three. 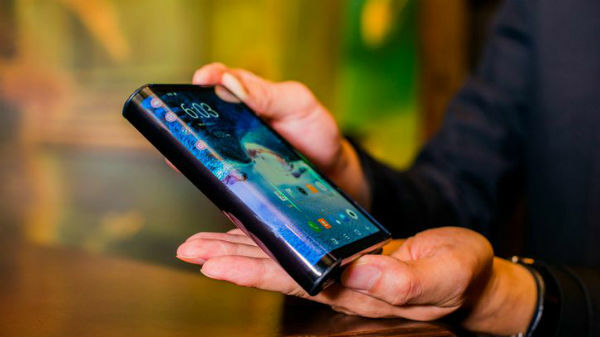 Other big names are rumoured to be producing their own foldable devices, so we’re hoping to hear lots of foldable news at MWC (Mobile World Congress) 2019, Barcelona’s huge tech event that kicks off on 25 February. What are the benefits of a foldable phone? Size matters. With a foldable phone, you get to enjoy a tablet-sized display, without having to lug a tablet-sized device around all day. You can simply fold it back up, and slip it back into your bag or pocket. If you’re into mobile games, you’ll appreciate the benefits of a large fold-out display. Massive multiplayer games like Fortnite deliver tons of onscreen action for players to deal with, so a larger screen will make things easier – those far-off enemies will be easier to spot and take care of, for example. And when it comes to onscreen controls, having more space should make things a little less fiddly. So basically, the bigger the display, the more advantage you’ve got over the competition. Let battle commence. Do you enjoy watching movies or TV shows on your phone? Then you’ll get a real kick out of unfolding an 8-inch display (which could be the size of Huawei’s first foldable phone) and enjoying a full-on widescreen cinematic experience. A display that big should be perfect for propping up on a table, and letting your mates view the action too. A foldable phone could make mobile entertainment much more sociable. Okay, let’s get serious for a second. Because your commute home has been disturbed by an email from the boss, wanting you to run through some figures on a spreadsheet, pronto. Try doing that on a normal sized phone, and you’re scrolling for days. A big display on a foldable phone will make it much easier for you to check lots of figures, and it’ll be great for multi-tasking too. If you need to have a few files open at once, it’ll be just what you need. We’ve also seen a few mock-up designs of foldable phones with keyboards attached – if this becomes an actual thing, it’ll be even better for firing off lengthy work emails and getting lots of work done faster. What else could a foldable phone do? Well, what about using it as a smart home hub? With its tablet-sized display and an always-listening Google Assistant inside, surely it’s made for this kind of stuff. Stick it on the mantelpiece, and you’ll be able to control all your smart home products like lighting and heating with just your voice. It’ll also give you a decent view of footage from your video doorbell or security cameras. So, are foldable phones the future? There’s no doubt that foldable phones are going to be an exciting addition to the mobile world. But just how big will they become? As well as their unique benefits, foldable phones will also have to offer everything we’ve come to expect from good flagship phones. So they’ll need amazing cameras on the front and rear, and batteries that last all day. And of course, they’ll need to be slim enough to fit into our pockets. They’ll also need to be built to last. But will that bendy display be able to cope with all that folding and unfolding over months and even years? 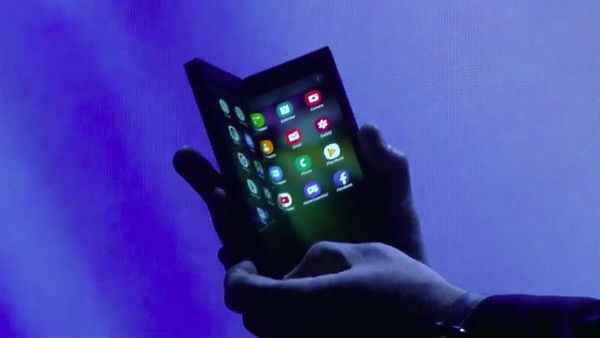 If the screen tech’s clever enough to leave a foldable phone looking pristine for a long time, we can see them being huge. Just as long as the price is right. How excited are you about foldable phones? Will you be buying one as soon as they hit the shelves? Or, are you happy with the size and shape of your current phone? Share your thoughts in the comments below.